Dodge Service and Repair in Walnut Creek | Frank's Auto Service & Repair, Inc.
Frank’s Auto Service has been serving Walnut Creek Dodge owners for over 60 years. Whether you drive a Grand Caravan, Dodge Durango, or one of the RAM pickup trucks, our nationally ASE certified mechanics can service and repair your vehicle – whether it needs manufacturer recommended maintenance, or is facing major engine repairs. 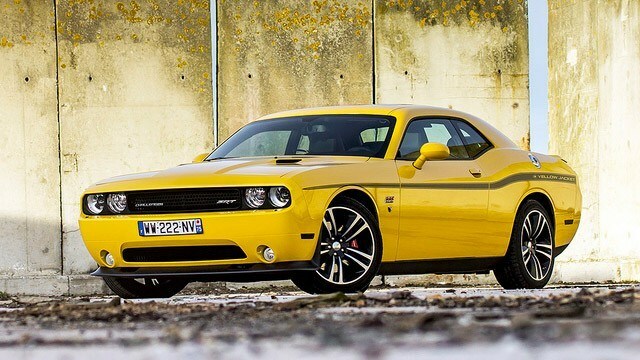 Our Dodge specialists have the training and state-of-the-art equipment to do the job right the first time. We highly recommend following a regular maintenance schedule – it not only keeps your vehicle in top shape, but also extends engine life, and allows us to preform regular check-ups which can uncover impending trouble before it results in breakdowns or expensive repairs. Servicing your Dodge with Frank’s Auto Service keeps your manufacturer warranty in force. At Frank’s Auto Service Walnut Creek we provide a broad range of repairs and services. Whether your Dodge Grand Caravan has power lock problems, or Dodge Durango experiences engine problems, or a RAM 1500 has ignition switch that does not work properly, we can perform these and other repairs – and usually complete them the same day . For owners of Dodge Grand Caravan we recommend bringing your Dodge in for regular brake inspections, as the Grand Caravan is known for rapid brake wear due to its weight. At Frank’s Auto Service we can diagnose and repair a wide range of problems – we offer 30,000, 60,000 or 90,000 mile service, water pump repair, electrical system diagnostics and repairs, AC recharge, check engine light diagnostics and repairs, brake repair, AC repair, evap leak, oil leak repair, coolant leak repair, radiator replacement, timing belt replacement, cv boot, shocks and struts, transmission problems, spark plugs replacement, and engine repair – to name just a few. Dodge Caravan, Challenger, Dakota, Durango, Grand Caravan, Intrepid, Journey, Dodge RAM 1500 pickup. We work by appointment, so it’s best to call and schedule an appointment, or if you prefer, make an appointment online.